I received my learner’s permit to drive on my 15th birthday. My parents had a 1972 Toyota Celica. It was a fun little car to drive...when I could it in gear, which wasn’t often because it was a stick shift. Frustrated with my inability to grasp how to use a clutch, dad had me practice on our 1976 Chevy Nomad van. That had an automatic transmission. 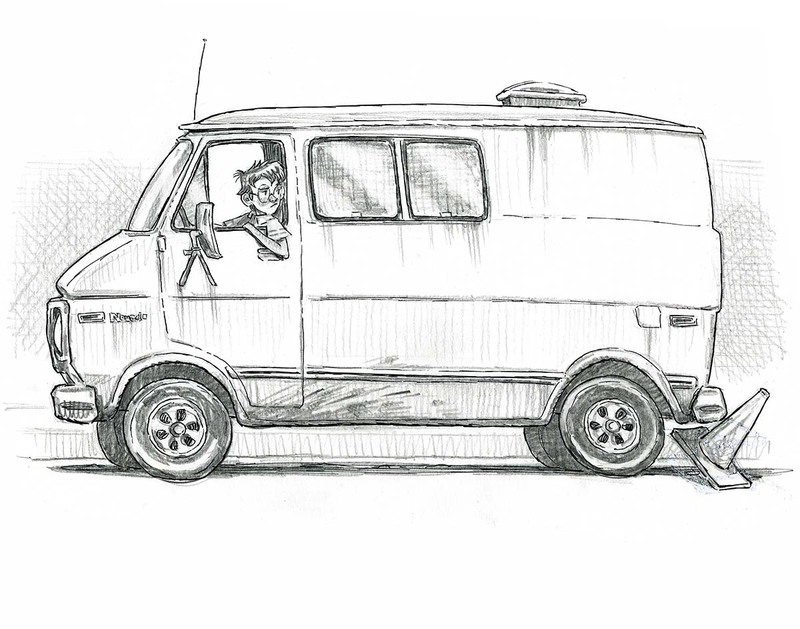 After my failure with the Toyota I figured the van would be a cinch to drive but it was the length of a short bus and had no rear windshield. This meant I had to use its massive side view mirrors, which dad had glued fish-eye mirrors to because YOU STILL COULD NOT SEE the back end of the van. I failed my driver’s license exam three times(!) on the parallel parking portion of the road test. When I finally succeeded the DMV examiner said I might as well have qualified for a commercial license and become a truck driver.